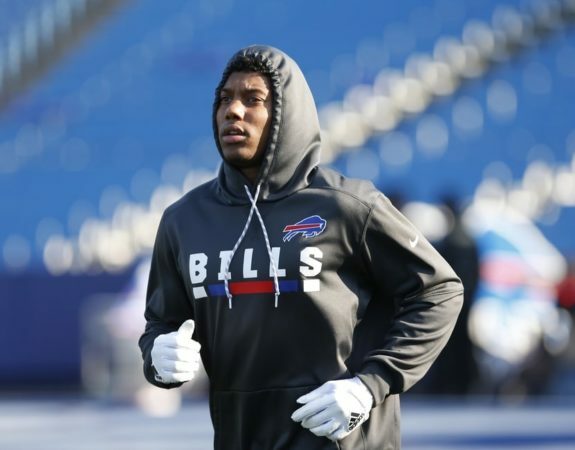 Buffalo Bills’ rookie wide receiver Zay Jones didn’t quite break the internet Wednesday night in Western New York, but he put a decent-sized dent in it. Zay, short for Isaiah, announced on Twitter he was going to his first-ever Sabres game. He was clearly excited but wasn’t sure what to expect. It conjured up images of Chance the Rapper’s skit on Saturday Night Live back in November. Jones’ tweet prompted a slew of funny and truthful warnings by fans warning him of what he was about to witness. About to see what this @BuffaloSabres game is about. My first hockey game ever !! Props to you for supporting your fellow local pro teams. Condolences for what you are likely to witness. Don’t have too many expectations. You’ll enjoy it more. The energy levels are about on par with Jeb Bush. Prepare for disappointment. The Sabres, on a .500 pace over the past few weeks that qualifies as a red-hot winning streak this year, lost to the Flames, 5-1. Unlike the up-tempo win against the rival Toronto Maple Leafs a few days earlier, the Sabres played unwatchable, uninspired, lethargic hockey. They were outworked, outhustled and outplayed in every facet of the game. Their lone goal came with only 17 seconds left in the game. Despite the disappointing loss, Jones had a great time. After the game, many Sabres players were flat-out embarrassed by their effort and hope Zay gives them a mulligan. The losses have become all too common for Sabres fans this disappointing season. Jones has caught the attention of the Twittersphere once before. In a game against the Kansas City Chiefs last season, the rookie receiver went full-on Jedi. Following an incomplete pass he hit the turf, then pushed himself up off his stomach and seemingly floated back to his feet. Backwards. Before you watch it, be warned: it’s almost hypnotic. Be sure you have a few minutes to burn. The mesmerizing move went viral, being featured and talked about on countless highlight shows afterward. Fans gave him thumbs up and told him the force was with him. Unlike the rowdy, rambunctious fans at New Era Field, where the Bills play, KeyBank Center is like a library. It’s so quiet that often the only thing one hears, besides the players chirping at one another, are teeth chattering. KeyBank Center is about as cold inside as it is outside at New Era Field on Sunday afternoon in December. Sabres fans aren’t pre-gaming by jumping through tables in parking lots or barbequing wings in football helmets — they’re desperately trying to give their tickets away. It’s been that kind of year. The Sabres have the worst home record in the NHL. Plus, with the team’s marquee player, Jack Eichel, out with a high-ankle sprain, there’s even less to get excited about. 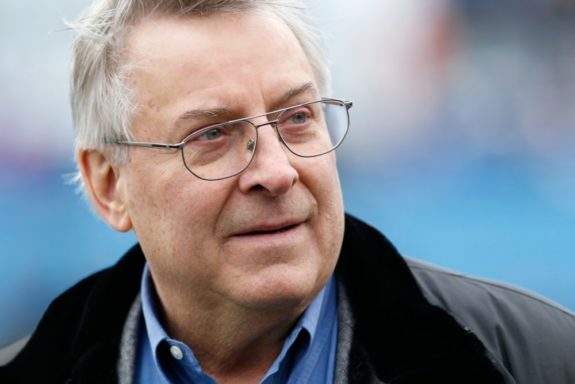 Soon after Terry and Kim Pegula purchased both the Buffalo Sabres and the Buffalo Bills, they introduced the rallying cry: One Buffalo. They hoped it would be a unifying phrase for fans to get behind as the teams and the city of Brotherly Love experience a revival. The campaign serves as a representation of teamwork, and a deeper connection between Buffalo sports teams, fans and the community. The hashtag #OneBuffalo is popular, especially on rare Sundays when both teams play. It’s not uncommon for Sabres to attend Bills games and vice versa. Zemgus Girgensons is a big Bills fan. Tyrod Taylor and LeSean McCoy have taken in many Sabres games. Jones played for the East Carolina Pirates and was selected by the Bills with the 37th overall pick in the 2017 NFL Draft. He led the nation in receptions in 2016 with 158 catches and ranked second in receiving yards with 1,746 yards. His 399 career receptions in college makes him the NCAA all-time receptions leader. According to ProFootballFocus, Jones dropped only six of 164 catchable passes in 2016. 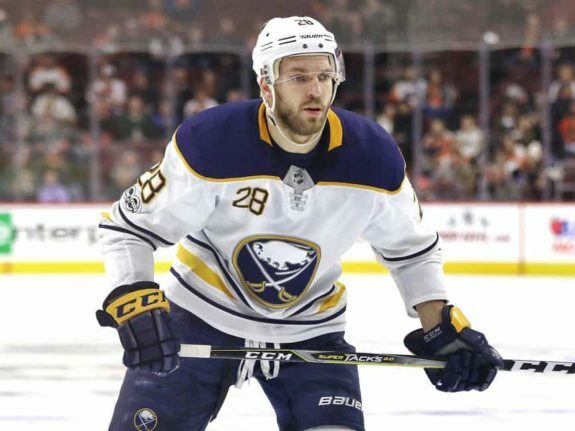 Wednesday night against Calgary, Jones may have caught the game, but the Sabres clearly dropped the ball.